Gabriel Weiss is honored with a surprise presentation for his essay on George Washington's letter to Touro. 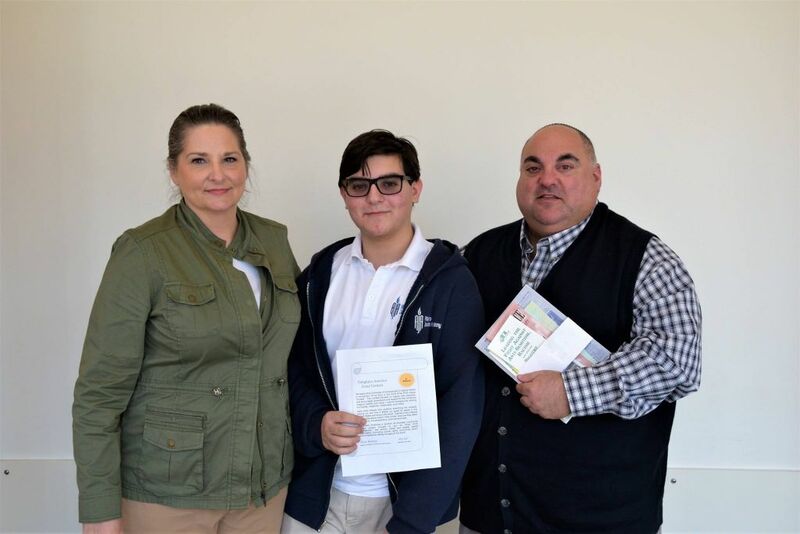 Eighth-grader Gabriel Weiss got a surprise when the students at Atlanta Jewish Academy’s Sandy Springs campus gathered for their Friday end-of-week assembly Feb. 17: He was announced as the winner of B’nai B’rith’s 2016 Enlighten America essay contest. 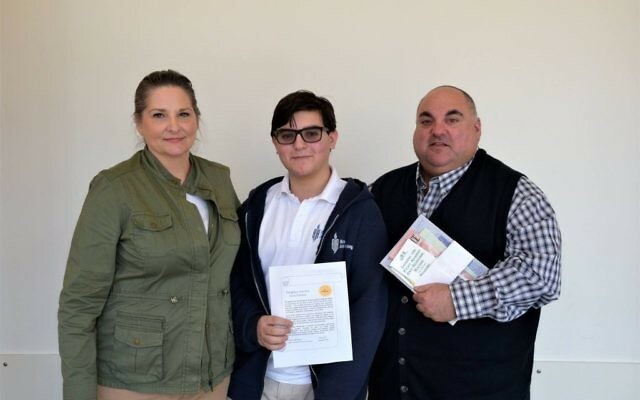 The 14-year-old son of former AJT owner Cliff Weiss and Loretta Weiss of East Cobb received a $100 Barnes & Noble gift card and certificate of achievement, while the AJA library was given a reference book on anti-Semitism by the contest organizer, the Achim/Gate City Lodge of B’nai B’rith, and a second book on Jewish life from the bookstore And Thou Shalt Read. Art Link, who ran the contest, and lodge President Karen Kahn Weinberg made the announcement and the presentation. B’nai B’rith also recognized the role teacher Anna Lefkoff played in inspiring Gabe’s essay. B’nai B’rith International launched the Enlighten America contest in response to school shootings and other violence sparked by racial and religious hatred. 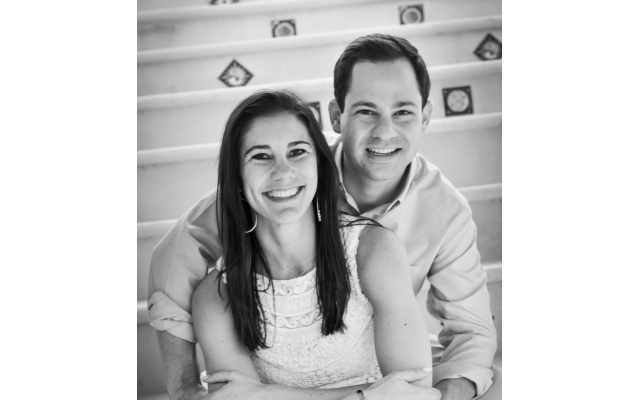 “B’nai B’rith started this program … to encourage respect for the people around them and respect for the individual differences in different people,” Link said. The 2016 Atlanta-area contest, which was open to all seventh- and eighth-graders in Clayton, Cobb, DeKalb, Douglas, Forsyth, Fulton, Gwinnett and Hall counties and had an entry deadline of Oct. 31, focused on the letter President George Washington wrote to Touro Synagogue in Newport, R.I., in 1790. That’s the letter in which Washington speaks of a government that “gives to bigotry no sanction, to persecution no assistance.” Students were asked to apply Washington’s message of tolerance and equality to bigotry and prejudice today. Gabe’s winning essay references the Declaration of Independence, the Talmud, the Torah and Martin Luther King Jr.’s “I Have a Dream” speech while commenting on enduring bigotry and innovations such as the Black Lives Matter movement.